Since 1996, high school and college students have united every April to protest against homophobia. This protest, the National of Day of Silence, entails an entire school day of silence, acknowledging the many gay youths who remain silent as a result of the fear and anxiety brought upon by intolerance. The Day of Silence, started at the University of Virginia by 150 students, played an incredible role in the gay rights movement in the 1990s. But now, especially after the Proposition 8 reaction, it’s time activists come up with a more proactive demonstration. Having been a participant in the Day of Silence since high school, I know the amount of dedication it takes to remain silent. Nasty peers eviscerate you mentally — and, although I haven’t experienced it, physically — for taking a stand. Some teachers think you’re participating in the event with the intention of getting out of class and therefore treat you like a delinquent. The rest are confused and trying to understand the point of another day of silence. It’s because of bullying that the Day of Silence managed to be such a success in the late ‘90s and until now. According to the Gay, Lesbian and Straight Education Network, in 2008, 86.2 percent of gay, lesbian, bisexual or transgender youth experienced verbal harassment. Almost half – 44 percent – were physically harassed, and almost a quarter reported being physically assaulted. These statistics are the fuel behind the Day of Silence and allow the event to grow each year, especially after last year’s, dedicated to Larry King, a teenager killed in February 2008 by a peer because of his sexual orientation. Channeling this tragedy into motivation made the event an enormous success, with hundreds of thousands of students nationwide participating, proving that as a nation, we are furious with this type of hatred and will no longer stand for it. Deanna Wozniak, a senior biology major and former president of the Temple Queer Student Union, has coordinated the Day of Silence for three years. She said she believes high school is the perfect setting for an event like Day of Silence. The Day of Silence, although it has good intentions, has reached the end of its rope. “On a college campus, it’s hard because you have to figure out a way to make a spectacle and make a splash without really making any noise. But the real reason why the Day of Silence isn’t effective is because we are past the point in our movement where silence is what we’re looking for,” said Deborah Hinchey, a senior political science and history major and former president of Pennsylvania College Democrats. Until we, as a group of concerned citizens, can come up with an effective protest, all we can hope for is that the Day of Silence continues to spread its message and will reach that heartless bully, letting him or her know it is not OK to torment others because of who they are. Nevertheless, we still need to come up with the next best thing to stop the hate. 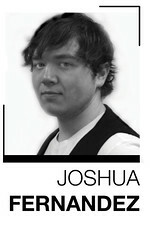 Joshua Fernandez can be reached at josh.fernandez@temple.edu .